We've spent six weeks in Australia, much of it wine tasting, and I'd have to say the quality of the wines has far exceeded my expectations. Rather than go through each of the regions in detail like we did for New Zealand I decided to just hand out awards for some of our favorites. I believe every area we visited is represented, but the awards still leave out many great wines we've tasted. I can also say with very few exceptions, the people who poured for us were extremely friendly, generous with their time and made our experiences all the better. Without further ado, here are the standouts from our trip. Best Shiraz With relatively few exceptions, you’ll find Shiraz grown in most of Australia’s wine regions and it’s the grape that the country is most known for. Not all of it is good, but in the right hands it can be exceptional. Mount Langhi Ghiran is one of those places. Situated relatively near The Grampians National Park in western Victoria, you have to make an effort to get to Mount Langhi Gharin Winery. It’s worth it. Deep, dark and beautiful Shiraz that ages well. How do I know? A friend turned us on to a bottle of their 1997 Shiraz during a visit. Best White The 2012 Riesling we tasted at Mt Lofty Ranges in the Adelaide Hills was off the charts. As were most of his other wines, including a lovely sparkling. We were first turned on to this wine at a restaurant and the owner was kind enough to set up a tasting with Mt Lofty Ranges co-owner Garry Sweeney, who purchased the winery with his partner Sharon Pearson in 2009. We tend to like wineries that are trying to do something a little different. And boy did we find it at Alpha Box & Dice in McLaren Vale, which specializes in funky blends like Tempranillo and Cabernet Sauvignon and Mascadelle and Chardonnay. 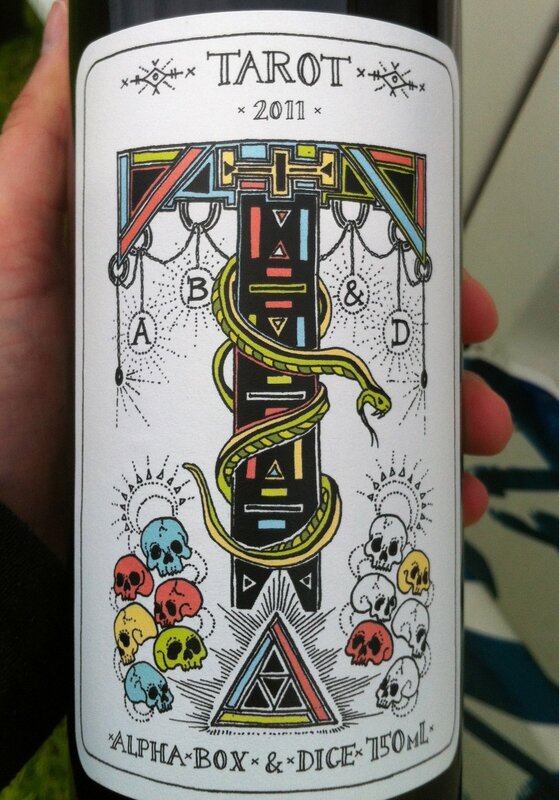 We bought a bottle of their Tarot Grenache blend for $20 after enjoying it at the winery, and after drinking it were upset we didn’t have six more. Bottle of Tarot from Alpha Box & Dice. Runner up is McHenry Hohnen wines in Margaret River. We picked up magnums of a white (Sauvignon Blanc, Semillon and whatever else they had sitting around) and red (Grenache blend) that they were selling for $20 ($10 equivalent for a 750 ml bottle) and enjoyed both. The McHenry Hohnen magnum - budget wine of choice right now. Best Wine from a Winery that Imports to the U.S., but You Can’t Get I’d heard about the Peter Lehmann Wigan Riesling before I came to Australia, a wine writer from California, Dan Berger, used to pester me for some when I worked for Hess Collection since Hess owns Peter Lehmann. Now, I know why he wanted it. The winery puts a little age on the wine, the one we had was from 2008 and it was supple, yet fruity. Just a lovely wine. Best Small Producer in the Barossa Valley The Barossa Valley is littered with some heavyweights of the Australia wine industry like Peter Lehmann, Penfolds and Wolf Blass. But we were lucky enough to stumble upon (no, not literally) Yellands and Papps winery, a tiny producer run by a husband and wife team, Michael and Susan Papps. Specializing in less mainstream varietals like Roussane, Grenache and Mataro, they made some of the nicest wines we tasted on our trip. Best Tasting Experience For an experienced cellar door person it is easy to tell whether someone is visiting to get a buzz or is actually interesting in the wines. We’ve found most are quick to figure out Jill and I love everything about wine and this often means a taste of something that they are holding under the table or some type of other special treatment. The staff at Kilikanoon in Clare Valley pulled out all the stops to treat us well, going through their wide range of wines (I lost track, but it was close to 10) in detail with us, then scrambling about in a back room until they found an old bottle of Riesling lying around which they opened for us. Words don’t do justice to explain how well we were treated at Kilikanoon and how special the wines were. Runner Up:Giant Steps in the Yarra Valley. We paid up for a reserve tasting and were escorted back to the barrel room, where we got to taste some great single vineyard Pinot Noir and Chardonnay. Best Garage Winery Margaret River is littered with palatial estates like Leeuwin Estate and Vasse Felix, big producers making lovely wines that can be found in the U.S. But our best tasting in the area came literally in a garage. 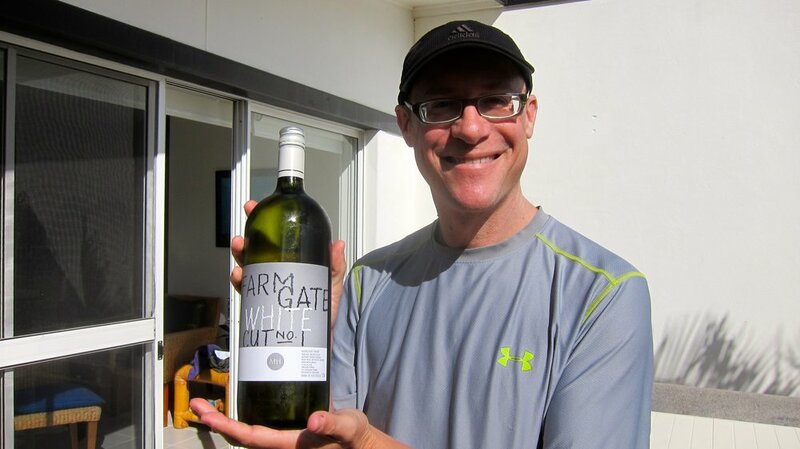 Despite fighting a cold, Michael Hutton opened his house for us and treated us to tastes of his beautiful Semillon, Chardonnay and Cabernet Sauvignon under the Hutton Wines brand, then cleansed our pallets with a glass of Pale Ale he had brewed. 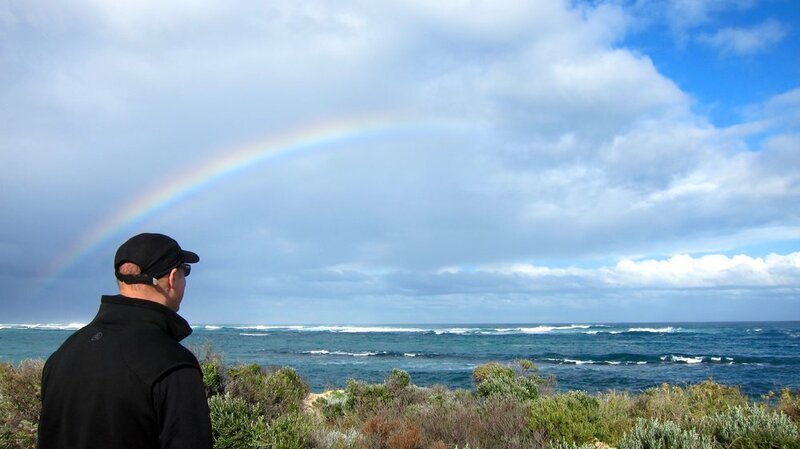 Best Place to Drink Wine and Do Other Things Margaret River is a fantastic travel destination. We're staying next to a surfing beach on the Indian Ocean 10 minutes away from the start of a wine trail. A bike path meanders into the town of Margaret River. There's whale watching, mountain biking, a 130 kilometer coastal trail you can hike on and a great farmers' market. Sun and surf (and wine) in Margaret River. Best Whites in a Red Region Coonawarra is known for its reds, particularly Cabernet Sauvignon, and they didn’t disappoint. But we were surprised to taste some great white wines as well. Wynn’s Coonawarra, the most successful producer in the region, also makes a really nice Riesling and Chardonnay. Their wines are widely distributed in the U.S. so look for them. Runner up was a surprising Frizzante at Hollick in Coonawarra. Best Picnic Spot I can't tell you what it looks like in the middle of summer when there's been no rain for months, but in the winter, the lawn at Peter Lehmann was a beautiful green and the many picnic tables around the grounds empty. It's the perfect place to either bring a picnic or purchase their sausage and cheese platter while enjoying a bottle of wine. Runner up: I'm not sure they allow picnics since they have a restaurant, but the grounds at Leewuin Estate in Margaret River are unbelievable. Perfectly manicured grass with a river running right in front of the winery. Beer Region That's Posing as a Wine Region Yes, I'm sure you're tired of coming up to the stage, but Margaret River, you win again! The relatively small Margaret River region has no less than seven craft breweries and a few of them are attached to wineries so you can double your pleasure. You also could go broke, with most charging at least $10 for a pint. We didn't make it to all seven, but the best beer we had was a black IPA at Eagle Bay Brewing. Best Practice that needs to be Adopted in the U.S. I’d never heard of cleanskins before coming to Australia. 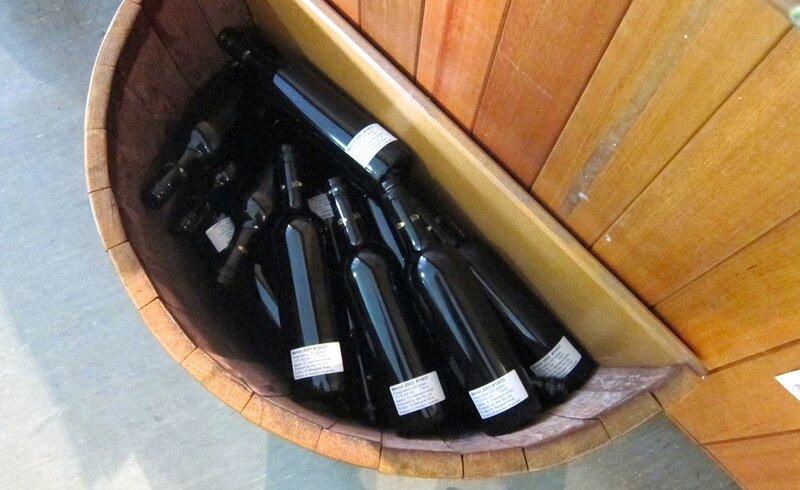 Typically, it is excess wine that a winery can’t sell for whatever reason that is stripped of a label with no information other than the varietal, its vintage and the region it comes from Because you don’t know much about the wine it comes at a discount, typically less than $10 a bottle. I bought a couple and was not disappointed. Most wine shops here have them so you can try one out at very little cost and buy a bunch if you like it. A half barrel of clean skins for sale.